The deluge of dust that blankets the 40,000ha desert and dry lake bed of Johnson Valley, turns into a hazy and hectic city of its own, literally overnight, which is just the beginning of the wow factor of this event. Todd recently had the opportunity to attend the 2018 King of the Hammers. King of the Hammers is considered the toughest one-day off road race in the world. 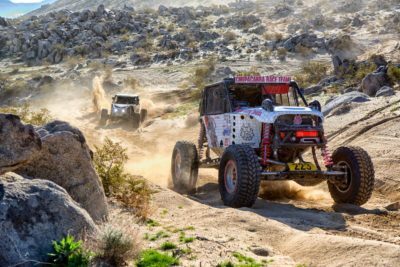 Taking place each February in Johnson Valley, California, it combines desert racing and rock crawling, and has expanded from one race to a series of 5 races held throughout the week. The event attracts thousands of off-road enthusiasts from all around world and I had the opportunity to attend and meet some awesome people and important suppliers. HCR Racing, which is one of Americas leading UTV aftermarket companies. Jimmy’s 4X4, the company that builds the most awarded Ultra4 chassis. Rugged Radio’s, the best communications for race, recreational and emergency services. 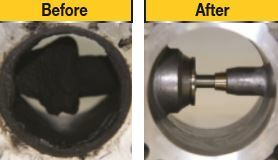 I also had the opportunity to help repair problems that had been plaguing one of the race teams for years – that felt really good to be able to help, tinker on shock tuning, brush up on installation workshops and gather more aftermarket accessory knowledge, which was another highlight. Check out a few quick pics where the world of off-road can be seen from a wildly different perspective. OK, not all of them are mine, a few are local photographers images, but they were taken on my phone and I have to say photos don’t do it justice. You really have to attend the event for yourself. Also, head over to the Ultra4 Racing Facebook page for action clips from the event. We anticipate returning in 2020 to participate as a navigator/driver for a 4400 vehicle that Seven Slot Off Road will be sponsoring. Did You Know We Are an Official Rugged Radios Australian Distributor?